None - I actually managed to get a lot of reading in and finished everything I started. Incarceron looks so good! I hope it is as wonderful as it looks. 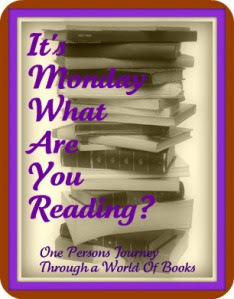 Enjoy a good week of reading! I'm so impressed by how much you've read. I'm lucky if I can finish a book in a month! I'm currently reading Hero of Ages by Brandon Sanderson. The first two books in the series were great! I finished the second one last week. Love the cover of Incarceron - hope you enjoy it. I'm amazed by the number of books you finished last week. Will you be posting reviews for any of them? Glad to hear Hearts at Stake is good and hope you enjoy Incarceron. I can't wait to read that one! I'll also be interested in your review of Chasing Brooklyn. Have fun! Wow. You read in a week the amount of books I read in only one month! You're all super-bookaholics! Haha! I'm pretty excited for Skinned, Some Girls Are and Hearts at Stake. I'd like to hear what you think of them! Christina T - I hope to post reviews to most of the books I read last week, but I'm a much slower writer than reader, so it might take me a couple of weeks to finish writing all of them! You have two books there that I really want to read - Will Grayson, Will Grayson and Chasing Brooklyn. I watched a live stream of John Green reading from Will Grayson last week and it sounds pretty fantastic. Love your books - both this week & last week :) I just checked out Some Girls Are from my library & really want to read Chasing Brooklyn, Will Grayson, Will Grayson & Incarceron. Hearts at stake was a good book! !